Cheltenham Primary School is a school for the local community. We have a designated neighbourhood boundary. 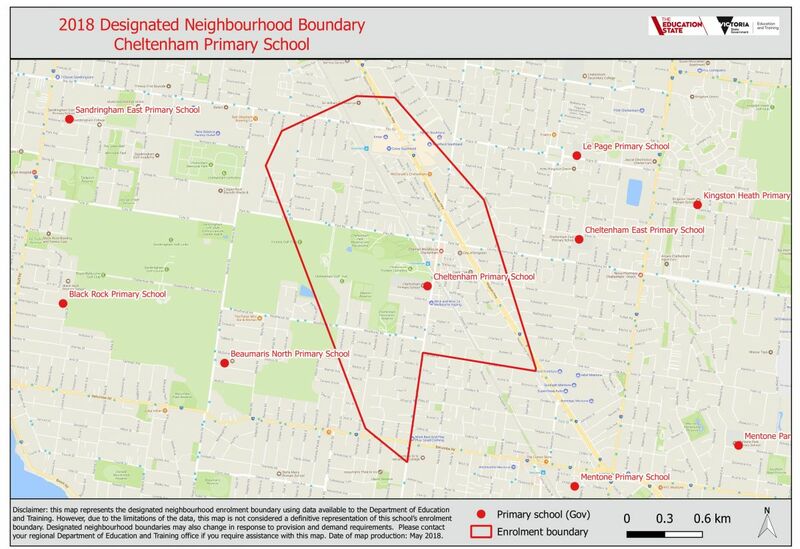 The school can only enrol students from within this specific neighbourhood area. Your permanent residential address will determine whether your child is eligible to enrol in the school. Families outside the DNB will be advised of their closest neighbourhood school.